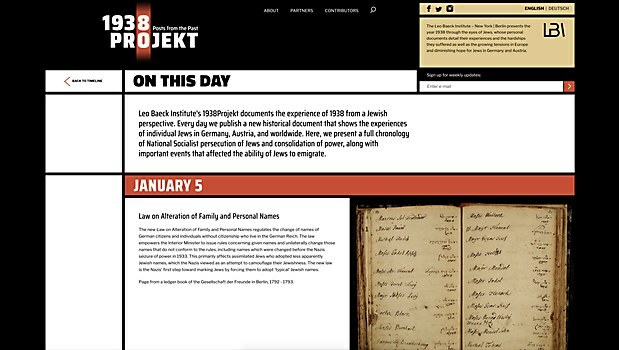 The “1938 Projekt: Posts from the Past” site generates awareness for the Leo Baeck Institute by posting daily personal documents from the institute’s archives. 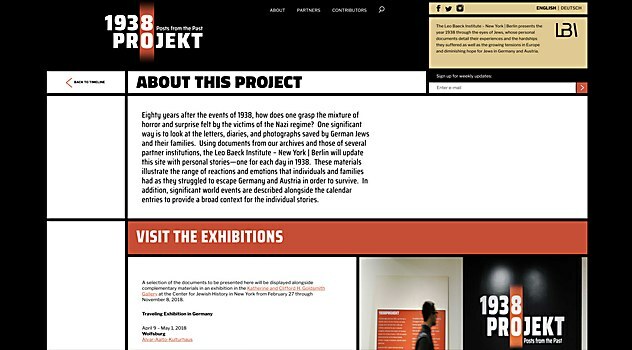 Background: “1938 Projekt: Posts from the Past” is a captivating year-long website, social and physical exhibition program designed to generate awareness for the world-class research archive of Leo Baeck Institute by posting a daily personal document from the archive belonging to German-speaking Jews as they lived during the twelve months leading up to Kristallnacht and the beginning of the Holocaust. Highlights: The project’s graphic design reflects the modernist, Bauhaus style of the late 1930s. In the visual identity, the numeral 8 in the year and letter O in “Projekt” are aligned and highlighted with a vertical red gesture, to commemorate 80 years since 1938. The design approach also conveys the story of 1938 by “dating” each document in chronological order as it is posted. Challenges: Bringing to life old documents in a foreign language, especially in a noisy and animated environment such as social media. The client’s curatorial team did an excellent job of selecting meaningful materials to feature throughout the year, and with our direction, they added captivating titles to each post. Translating users’ initial curiosity to a more involved user experience was also a challenge. Favorite details: The website is one component in an integrated campaign consisting of social media posts, an email campaign and both a semi-permanent and a traveling exhibit with website content integrated as a kiosk in the exhibition space. 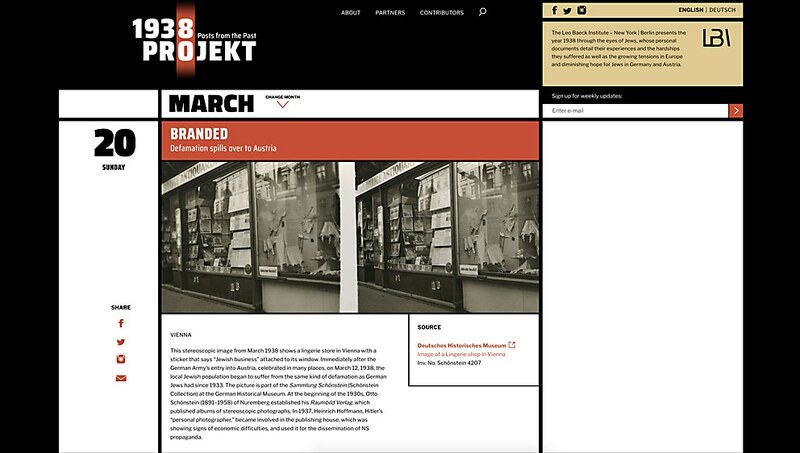 We are proud of how the project combines captivating content, multiplicity of user paths and powerful unifying branding to provide a suspenseful build-up to the story’s inevitable catastrophic conclusion of Kristallnacht. Navigational structure: It closely resembles an old-fashioned daily calendar, which was the organizing principle of this project. Time constraints: As there was no time to come up with innovative interaction models, we relied on existing models, such as simple blogs. This decision not only simplified the technical solution, but also allowed users with various degrees of tech knowledge to interact with the site’s content with familiarity. 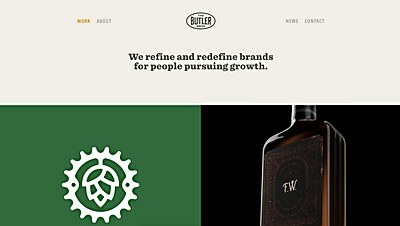 The simple navigation for this East Austin, Texas–based brand studio’s new site lets users explore brand options on their own. 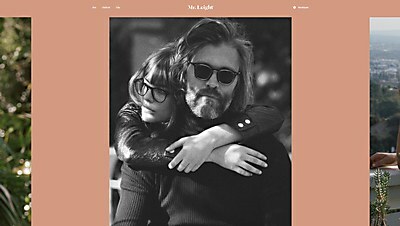 The new site for eyewear brand Mr. Leight puts the eyeglasses and sunglasses on full display. The new website for this Los Angeles–based director and photographer elegantly combines both his still and directing work.